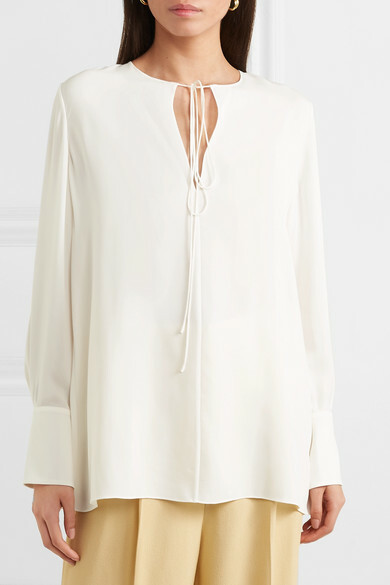 Theory's Francesco Fucci loves to work with exquisite fabrics - the silk crepe de chine used to make this blouse is beautifully soft and fluid. 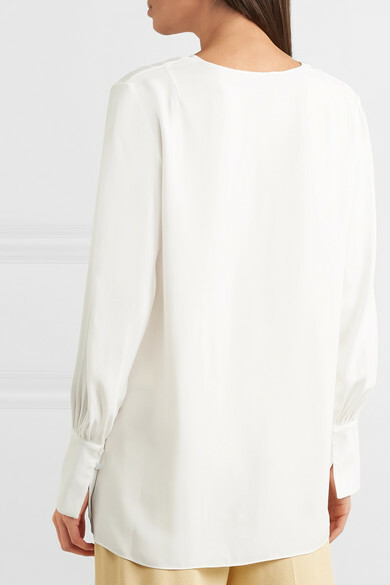 Cut for a loose fit, this elegant style is detailed with gathered sleeves and buttoned cuffs. The neck ties are adjustable and look best fastened into a relaxed knot rather than a pristine bow. 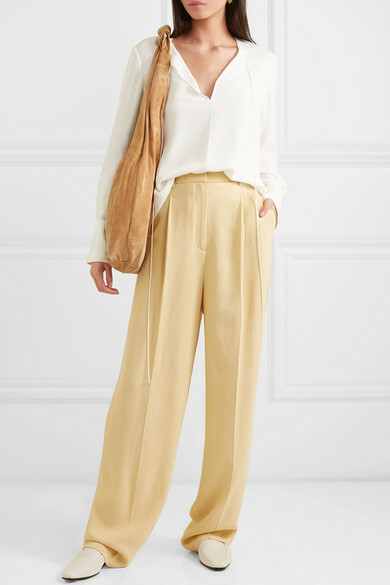 Shown here with: Theory Pants, Albus Lumen Tote, The Row Loafers, Sophie Buhai Earrings.